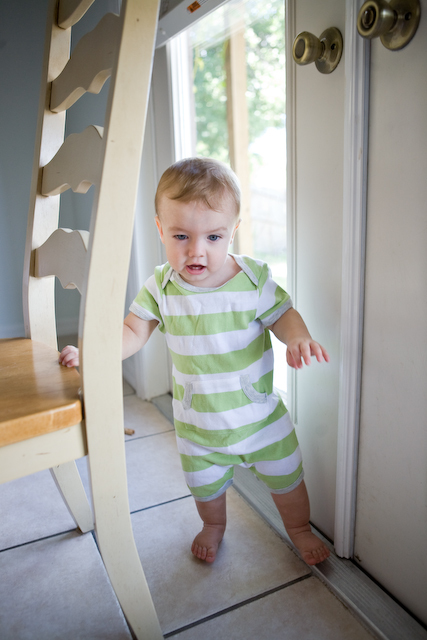 Back when we first started using cloth, one of my biggest fears was using them outside of the house. At home, I was great. No big deal. But every time we packed a diaper bag for those first several weeks, I took disposables with me. We had been given several bags of disposables as gifts, but I knew I didn’t want to buy any myself once those were gone. I finally got up the nerve to use cloth when we were at Target, church, visiting family or wherever. And guess what? It’s super easy. All of my fears were for nothing. 1. I grab a couple of diapers & get them ready. I love my Flips (hybrids), and usually use these when we’re out. 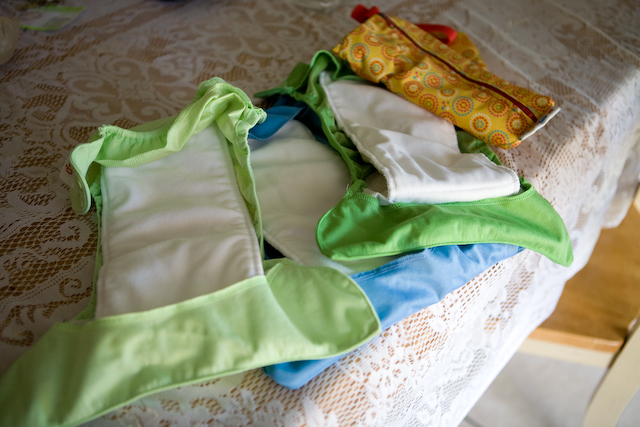 I sometimes go for my BumGenius Elementals (AIOs), because those are great for the diaper bag, too. I also grab my Bummis wet bag to toss in the bag. 2. I roll ’em up & throw ’em in. I use disposable wipes when we’re out and cloth wipes at home. 3. When we’re out, I just fold up the dirty diaper & put it in the wet bag. 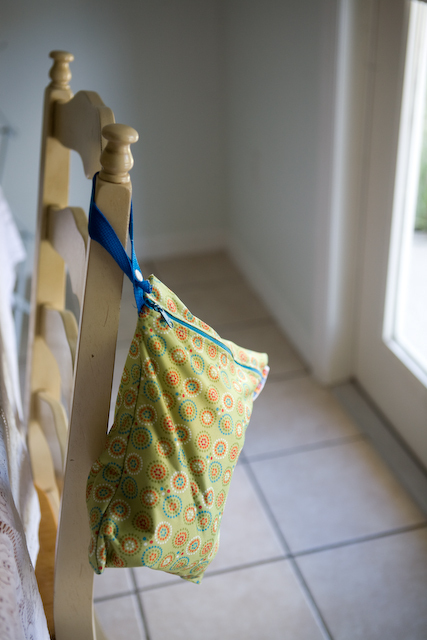 This one holds around 5 diapers, which is plenty for a day out. 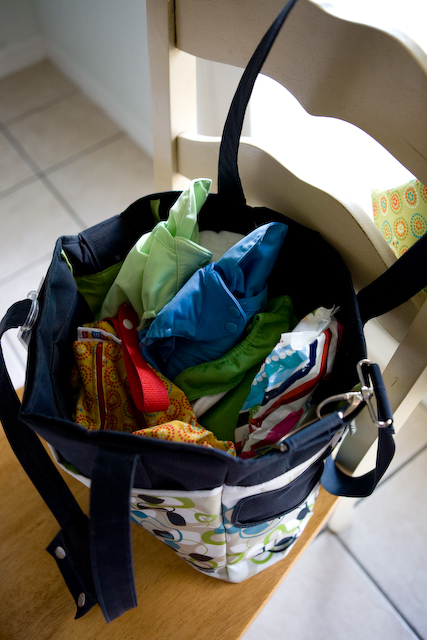 When we get home, the wipes go in the trash, the wet diapers go in the wet bag, the dirty diapers get a rinse & then go in the bag. Easy. I would say it takes me about 3-4 minutes at the most to go through that routine. That’s if we’ve been gone all day & used a lot of diapers. Sometimes if we’re right near a toilet when there’s a dirty diaper (like in a public restroom) I just go ahead & dump the poo in that toilet, which makes the process even quicker at home. So there you have it. Using cloth while you’re out & about is simple. The amount of time it takes me to prepare & then empty the bag when we’re home is literally minutes. Those few minutes are totally worth it considering the hundreds of dollars we save by using cloth. Not to mention keeping those chemicals off my baby’s bum and diapers out of landfills. We are now a disposable free home. The only time I buy them is if we’re going on a trip where I won’t be able to wash diapers. It feels good to go down the baby aisle at Publix and just walk right on by the diapers. 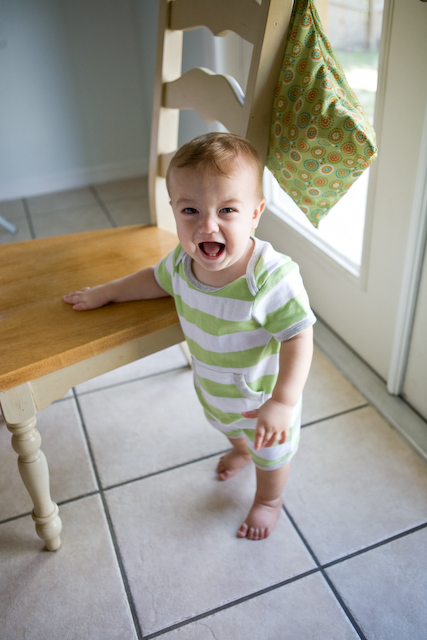 And here’s the little man who looks oh-so-cute in those diapers. The toddler that STILL poos up to 5 times a day. Yes, you read that right. Three to five times every day. So if I can cloth, anyone can. I sometimes imagine what it would be like to have a baby that only dirties one diaper a day. Maybe my next kid. Walking everywhere these days. 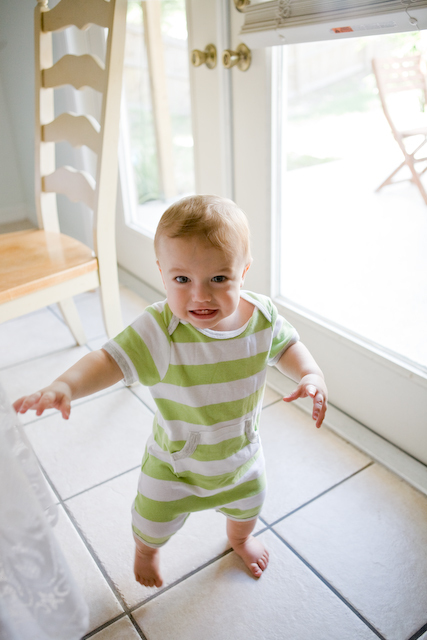 Just three weeks ago, he took his first real steps, and now he is practically running. Sure glad one of us is helping the environment in this area- kudos to you!